Spanish Bass-Baritone Fernando Latorre graduated at Bilbao’s Conservatoire where he obtained a degree in Singing, Composition, Orchestration, Music Pedagogy and studied Piano and Viola. In1992 he’s sponsored by the Spanish Ministry of Culture and moves to Milan where he perfections his vocal technique with F. Bandera and masters his repertoire with R. Negri, V. Laferla and L. Gorla. In Milan Fernando takes part of “Teatro alla Scala”s chorus and extends his studies with prestigious names such as F. Corelli, G. Aragall, E. Müller, M. Reale and A. Kraus. 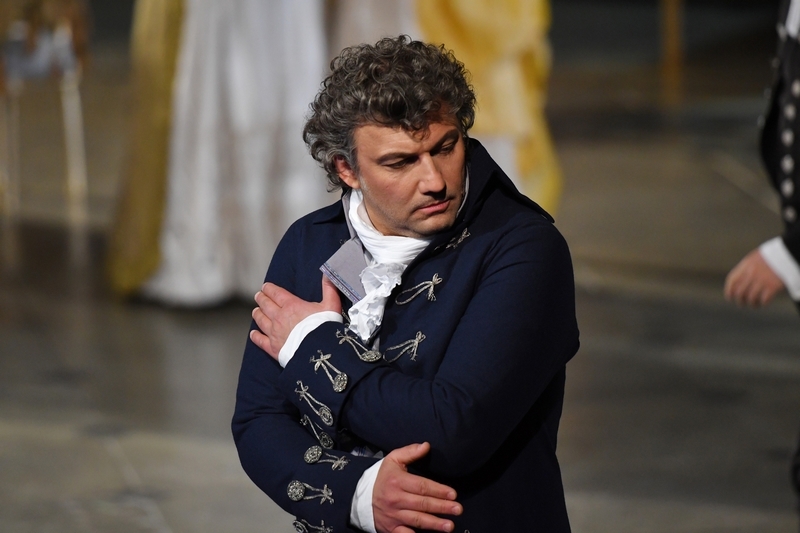 Over 50 titles shape Latorre’s operatic solo career; “Otello”, “Ernani”, “La Traviata”, “Rigoletto”, “Don Carlo”, “Stiffelio”, “Ballo in Maschera”, “Simon Boccanegra”, “I Vespri Siciliani”, “Faust’s Damnation”, “Carmen”, “Lucia di Lammermoor”, “L’elisir d’amore”, “Roberto Devereux”, “Don Pasquale”, “Lucrezia Borgia”, “Fedora”, “Andrea Chenier”, “Roméo et Juliette”, “Faust”, “Le Cid”, “Die Zauberflöte”, “Il Barbiere di Siviglia” “Tosca”, “Madame Butterfly”, “Manon Lescaut”, “Turandot”, “Boheme”, “Samson et Dalila”, “Der RosenKavalier”, “Eugene Onegin”, “Cunning Little Vixen”, “Lohengrin”, “Marina” etc. He has worked together with renowned conductors such as; E. Müller, R. Weikert, A. Allemandi, R. Saccani, G. Navarro, Y. Abel, R. Gandolfi, G. Neuhold, A. Licata, R. Tolomei, J. Acs, A. Ives, R. R. Brignoli, S. Ranzani, F. Chaslin, M. Ortega, A. Zedda, E. Hull, M. Valdes, L. Cobos, De Rienzi, N. Gunter, E. Boncompagni, M. Barbacini, P. Halffter, M. Rota, J. Mena, A. R. Marba, M. Armiliato. In addition to his wide operatic career, Fernando’s musical life is highly active in Concert and Oratorio performances: Messiah, Theodora, The Tempest, Requiem by Faure, Mozart, Duruflé and Brahms, Christmas Oratorio by J. S. Bach, Elijah, Mozart’s Mass in c minor, Rossini’s Messe Solennelle, Magnificat by Sammartini, Beethoven’s 9th Symphony and Mass in C Major, Carmina Burana etc. His performances in “Le Cid” production at Teatro de La Maestranya de Sevilla with Placido Domingo, conducted by G. Navarro, and in “Carmen”, production at Teatro San Carlo in Lisbon, conducted by F. Chaslin, deserve special mention, as well as the United States’ tour, accompanied by pianist Itziar Barredo, performing a set of songs by Spanish poet Rafael Alberti. Fernando’s rich musical training enables him to successfully accomplish contemporary works: “Tarde de poetas” by Luis de Pablo at Teatro Arriaga of Bilbao, “Zuk zer dezu” by Felix Ibarrondo with Bilbao Symphony Orchestra at Palacio Euskalduna, conducted by J. Mena, “Otoitz baten gisan” by Ramon Lakano, “Hangman Hagman and the City of Avarice” by L. Balada at Teatro de la Zarzuela of Madrid. Fernando counts with the following recordings; “La Bruja” (The Witch) by Chapí (Deutsche Grammophon), “Don Quijote” by C. Halffter with Madrid Symphonic Orchestra, Spanish National Choir and conducted by P. Halffter (Glossa Music), “Cantar del Alma” (Souls’s Song), Spanish XVI-XVII centuries’ Poetry. (Arsis), “El Caserío” by Guridi with Bilbao’s Symphonic Orchestra and J. Mena (Naxos), “Otoitz baten gisan” by R.Lazkano (Pagoarte). Some of his most recent works include; “Faust Bal” by L. Balada at Royal Theater, “Don Quijote” by Halffter at the National Auditorium of Madrid, and his last opera “Lazarus” at Palau de la Musicade Valencia and Athens’ Megaron Concert Hall, “Te Deum” by Dvorak and Stravinsky’s “Pulcinella”, Beethoven’s “9th Symphony” with Bilbao’s Symphonic Orchestra, “Seven Last Words” by Haydn with Euskadi’s Symphonic Orchestra. Busoni’s “Turadot” debut in Spain at Maestranza Theatre in Seville, “Los Diamantes dela Corona” by Barbieri, “El Estreno de un artista” by Gaztambide, “Gloria y Peluca” by Barbieri, Zarzuela Theatre in Madrid. “Il Maestro di Capella” by Cimarosa at the Bilbao Symphonic Orchestra season opening. “La Dolores” by Bretón at the National Auditorium, “Eugene Onegin, “Le petit Messe Solemne” by Rossini at León’s Auditorium. Future engagements comprise; “Gurrelieder” by A. Schoenberg, “Roméo et Juliette” by Gounod, “Madama Butterfly” by Puccini, Verdi’s “Requiem” at Kursaal Auditorium, “L’Elisir d’Amore” (Dulcamara) by Donizetti at Pamplona and “Cosí fan tutte“ (Don Alfonso) in Irún.